Assassin's Creed is going to make this much money on opening day! Thank you to the people who have donated to my fundraiser to help me raise funds for my move to California in less than a month! I received two donations yesterday totaling $140, so it just warms my heart knowing that I have some great friends in the FF community who want to help me in this big life change. Today is the last day of my actively begging for money, however, the donation Paypal link will remain active through the end of this month for last minute donors who have a few spare bucks to donate. Now that I have seen The Light Between Oceans and Trespass Against Us, I'm now greedy to see Michael Fassbender in Assassin's Creed, coming out on December 21. When I was talking to a Fassbender fan in line at TIFF this past weekend, she didn't have high hopes for the movie. Because it seems like every film adaptation of a video game falters at the box office, she thinks the same will happen with Assassin's Creed. Although I think Rogue One: Star Wars will be major, major competition for people's attention at theaters in late December, I truly believe that the number one video game in the world, for multiple years, has a built in audience that will go see it. And with a two-time Oscar nominated actor playing the lead, and the video game maker, Ubisoft, helping to produce it, I know it's going to be a great film. 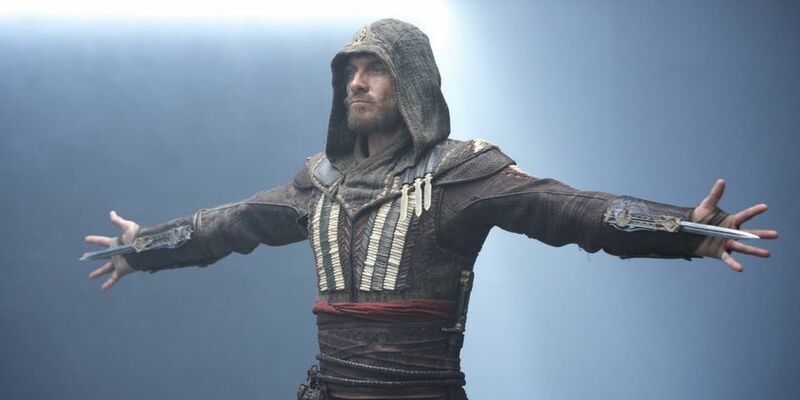 Check out the latest stills from Assassin's Creed at Playlist!